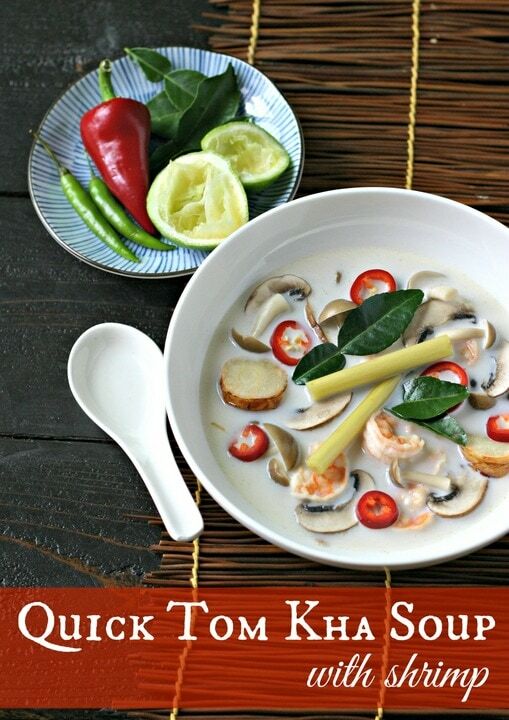 One of my favorite meal-in-bowl soups is Tom Kha. 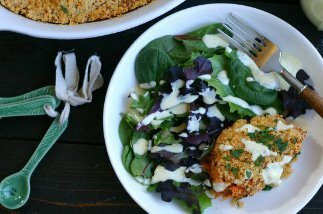 When you think about it, it really is a perfect meal, especially if you toss in a handful of veggies right before you serve it. 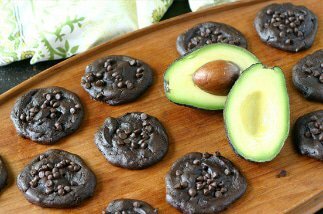 It’s naturally low carb and dairy free, easily gluten free, can be made in under 30 minutes and so much cheaper to make at home than pay $9 or $11 for a quart of take-out (with questionable ingredients). You’ve got protein (shrimp), good fats (coconut milk), a bit of acid (lime juice) and a nice kick of heat (chilies). If you want carbs, serve it over a small scoop of steamed rice. Personally, I like to add in some green cabbage or baby spinach because I love as many vegetables as possible. You can use chicken broth and thinly sliced chicken breast if you don’t eat shellfish. Make it vegetarian with a clear vegetable broth base and add green cabbage and a larger variety of mushrooms. I kept this recipe rather classic so you can get used to making it and use it as a very flexible base. 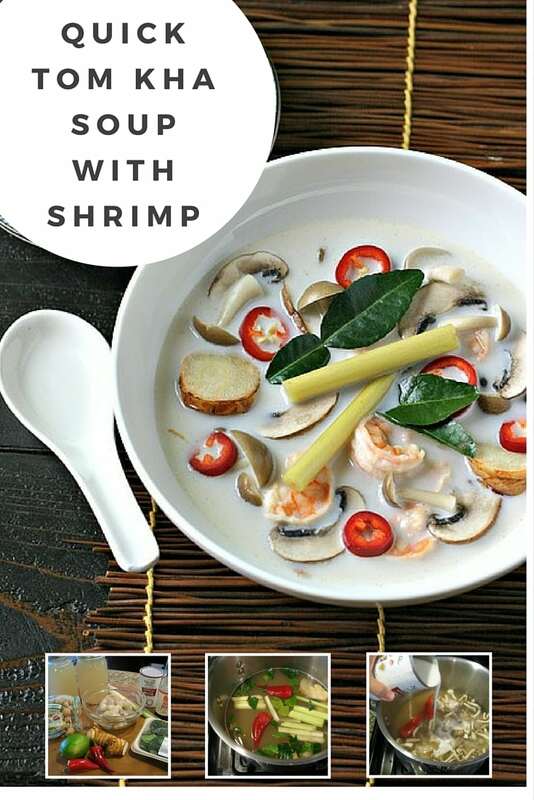 Once you make it and see just how quickly this Tom Kha Soup with Shrimp comes together, I promise, you will eating it all the time! If you don’t have homemade shrimp stock in the freezer, don’t stress! Use a high quality prepared stock like Pacific Foods Organic Bone Broth. While you can substitute fresh ginger for galangal, it really changes the flavor. A better choice is dried galangal which you can order here. Lemongrass is commonly available but usually only sold in stalk form at specialty and Asian markets. If you are shopping at a larger supermarket, you will most likely find it in one of the 2″ x 4″ see-through herb containers that are hung up in the refrigerated produce section. If you don’t have access to either fresh or dried Kaffir Lime leaves nearby, you can order one or the other from here on Amazon! Red Thai chilies can be difficult to source (even here in Seattle! 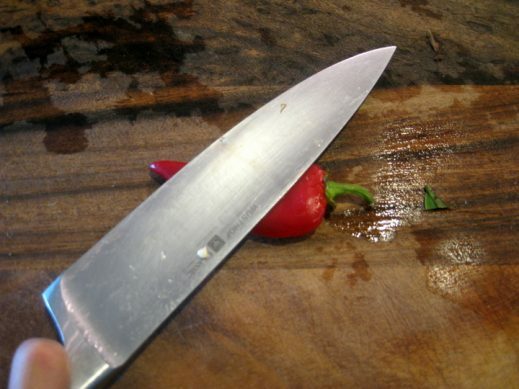 ), I usually substitute red Serrano chilies or green Thai chilies (show in the finished photo on the small dish). If you can’t find Brown Beech mushrooms, use crimini mushrooms or even standard white mushrooms. I love the taste, texture and look of the Beech mushrooms but I think they are the least important element to worry about substituting. I like to use Red Boat fish sauce. If you live in or around Seattle, Uwajimaya has the large bottles for under $10 (at the time of publishing anyway). 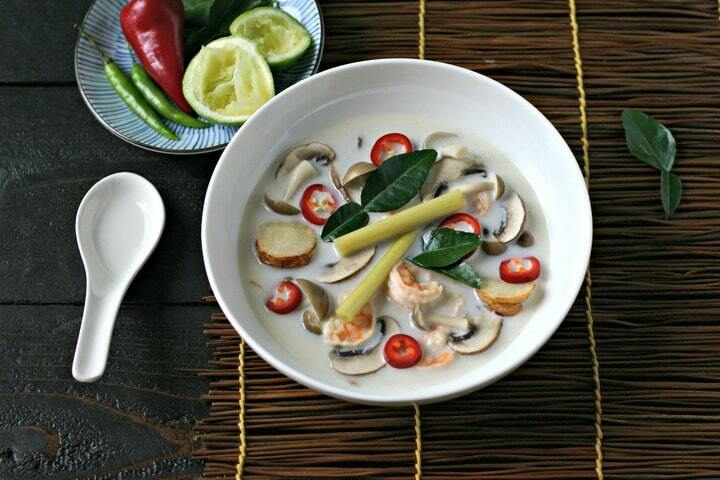 Tom Kha Soup with Shrimp. 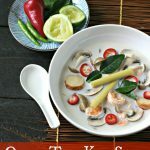 Gluten Free Tom Kha Soup. 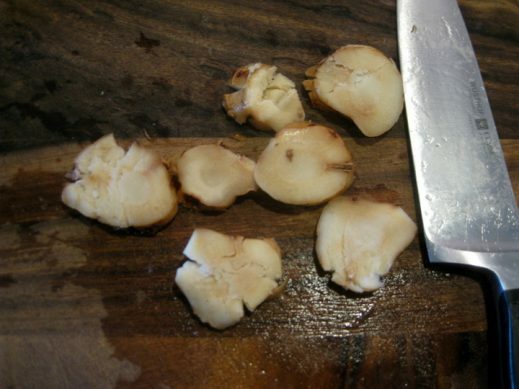 Slice galangal into thick pieces and use the back of your chef's knife to crush each piece. 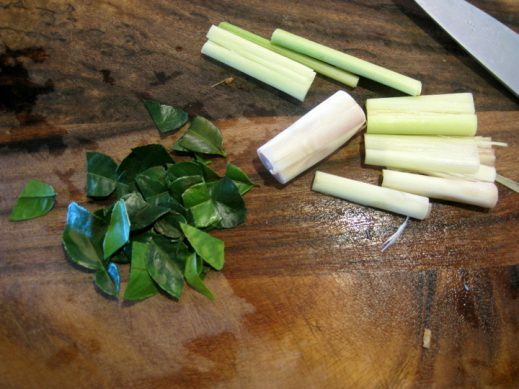 Cut lemongrass stalk into 3" long pieces, crush each piece with the back of the chef's knife. Rip or slice each Kaffir Lime leaf in half. Gently crush each hot chile taking care to leave the stem intact. Trim stems from beech mushrooms and slice crimini mushrooms into 1/2" thick pieces. 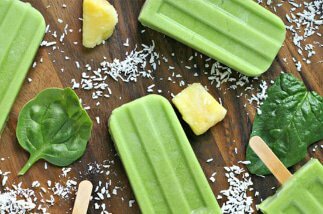 Squeeze lime juice, measure 4 Tablespoons and set aside. Finally, if using a chile for serving, thinly slice into rounds and set aside. 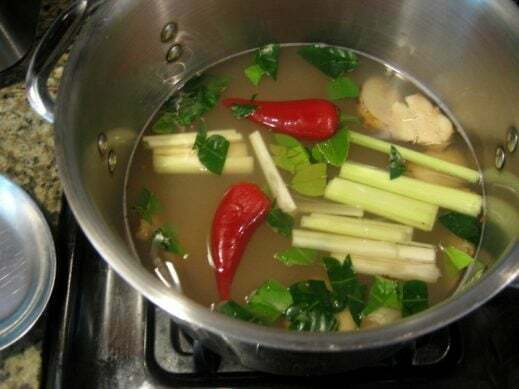 Combine stock, crushed galangal, lemongrass and chilies along with sliced lime leaves in a soup pot over medium high heat. Bring to a boil, cover and immediately lower to a simmer. Simmer for 15 to 20 minutes, allowing flavors to meld. 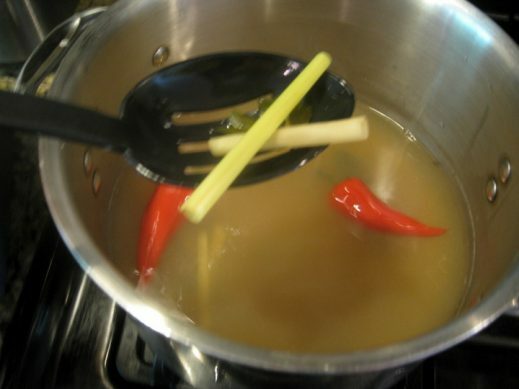 Remove lid and use a slotted spoon to remove galangal, lemongrass and lime leaves. I like to leave the chilies in but if you want this super mild, remove those at this point. Add raw shrimp and mushrooms and continue cooking for an additional 3 to 5 minutes until shrimp are pink and cooked through. 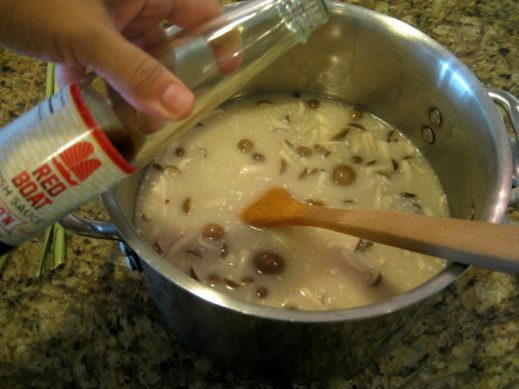 Remove pot from heat and slowly stir in coconut milk. Season with fish sauce, lime juice and a pinch or two of salt (if necessary). Serve hot and Enjoy! I have never heard of this soup before but it seems so versatile. Thanks for sharing, the finished photo looks amazing! This is one of my favorite soups – so fragrant! Me too Jeanette – and I love how quickly it comes together!